SALEM, Ore. (AP) — Oregon’s two senators on Tuesday urged the head of the U.S. Food and Drug Administration to update federal regulations to permit interstate commerce of food products containing a key non-psychoactive ingredient of cannabis. The appeal by Sens. Ron Wyden and Jeff Merkley came after Congress legalized the production and sale of industrial hemp and hemp derivatives, including cannabidiols, known as CBD. Wyden and Merkley had been behind a hemp provision that Congress passed and was included in the 2018 Farm Bill. But after President Donald Trump signed the bill in December, FDA Commissioner Scott Gottlieb restated his agency’s stance that CBD is a drug ingredient and therefore illegal to add to food or health products without his agency’s approval. The FDA has sent warning letters to some companies making health claims for CBD. In a letter to Gottlieb, the senators asked the FDA to update “outdated regulations” that prohibit food products containing CBD from being sold across state lines. 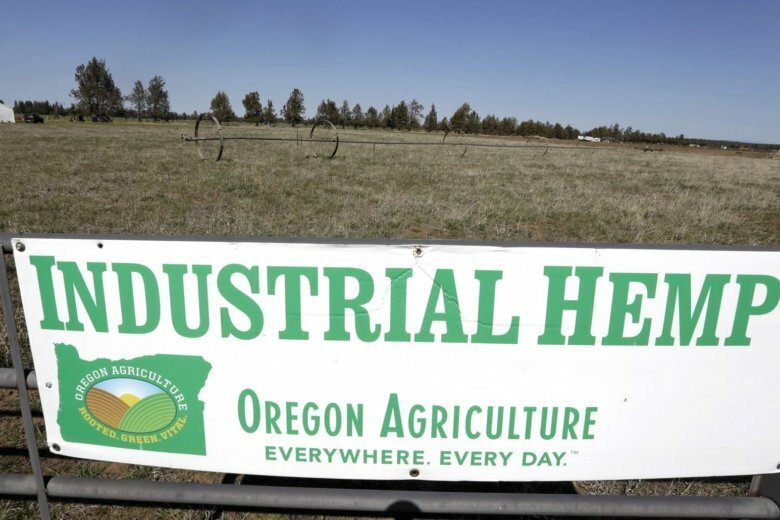 “Farmers in Oregon and nationwide are poised to make real economic gains for their communities once these regulations are updated,” they wrote. They said it was Congress’ intent in the bill to ensure producers and consumers have access to hemp-derived products, including CBDs. The Oregon Democrats asked the agency to clarify to the public several issues, including its authority in the production and marketing of hemp and its derivatives, and whether the FDA will consider issuing a regulation to allow hemp derivatives in food, beverages or dietary supplements that cross state lines. CBD oils are increasingly popular in lotions, tinctures and foods. Proponents say CBD offers health benefits, including relieving pain and anxiety. Scientists note there have been few comprehensive clinical studies on how CBD affects humans. Harvard Medical School said the strongest scientific evidence is for its effectiveness in treating childhood epilepsy syndromes which typically don’t respond to anti-seizure medications. The FDA recently approved the first ever cannabis-derived medicine for these conditions which contains CBD. Studies suggest CBD may also help those with insomnia to fall asleep and stay asleep. Hemp looks like marijuana but contains less than 0.3 percent of THC, the compound that gives pot its high. Both hemp and marijuana are species of cannabis. Merkley and Wyden noted that the FDA is operating with limited staff due to the partial federal government shutdown and requested a response within 30 calendar days of the government reopening.